On the first Friday of every month, our downtown hosts a Gallery Hop in the arts district. The main streets are closed and the art galleries host various openings and special exhibits. 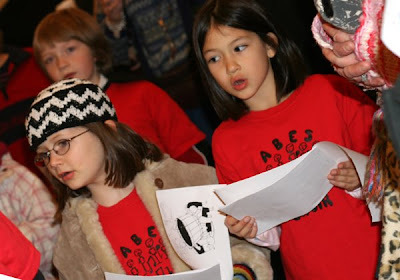 The first Friday in December is the Christmas Gallery Hop, and as a special treat, Elizabeth's school choir hopped from gallery to gallery singing "O Christmas Tree", "Pat-a-pan" and "Rise up Shepherd and Follow". 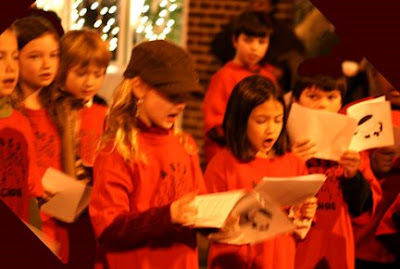 A fabulous time was had by all: choir members, parents, patrons and artists. A special pitstop was even made in the intersection of the closed street to serenade the local police officers stationed there.